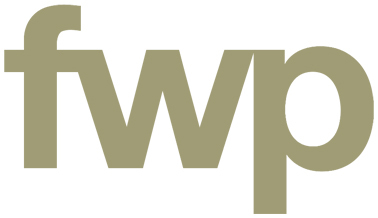 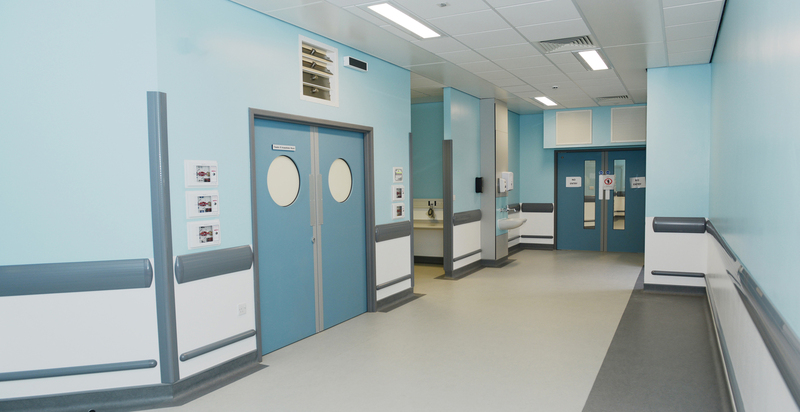 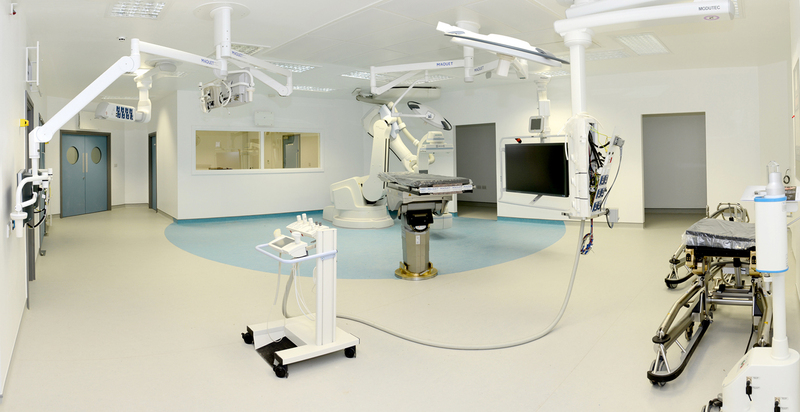 The new extension to Royal Preston Hospital’s theatre wing in April 2015 increased the number of operating theatres to 15 in total. 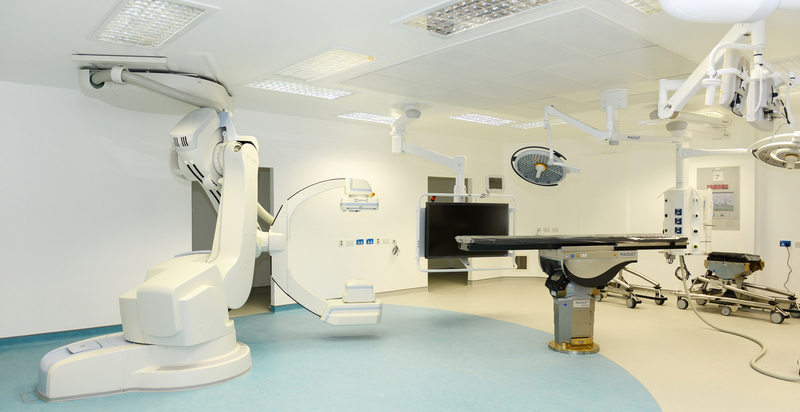 The new building saw a brand new conventional theatre and a state of the art hybrid theatre. 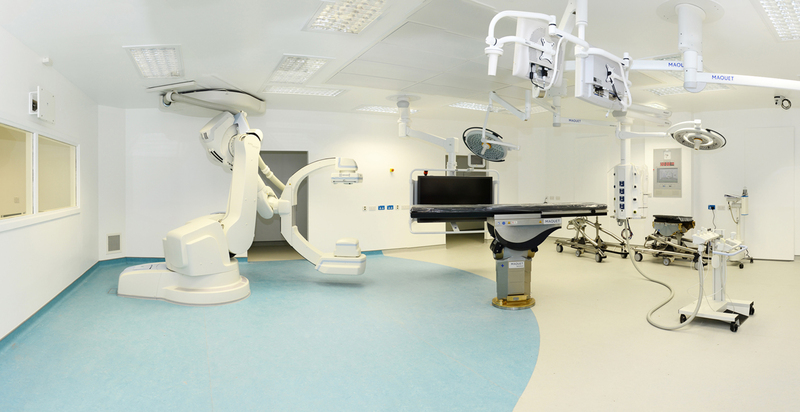 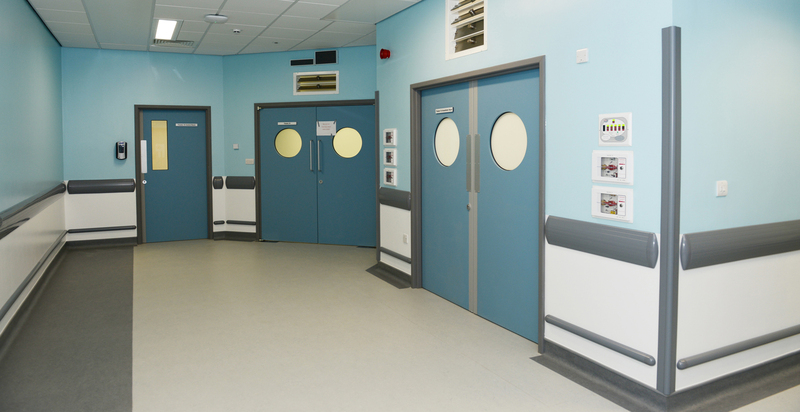 The hybrid theatre forms part of Preston’s specialist regional vascular centre which combines a full surgical operating theatre with X-ray and ultrasound imaging equipment normally only available within a radiology department. 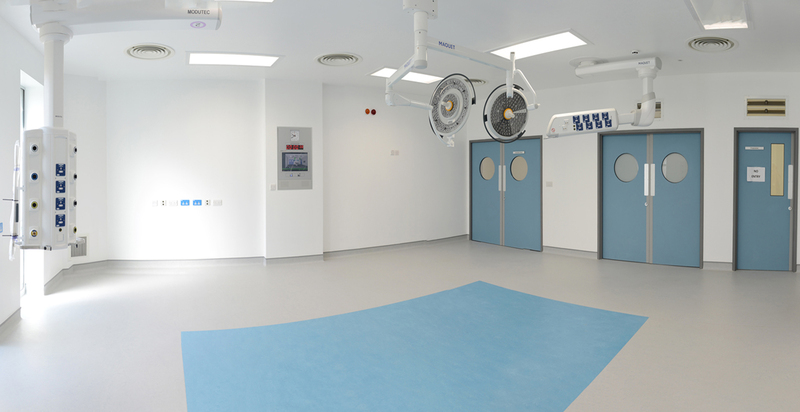 The space was designed to provide an ultra-clean and sterile theatre. 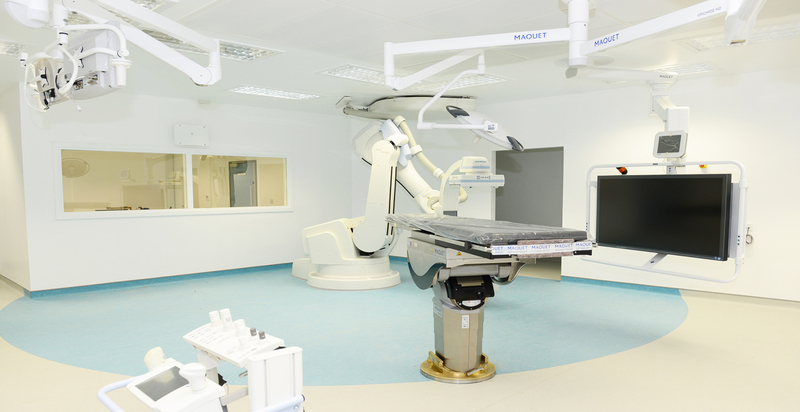 Precision was key to the proposal due to the robotic technology and Siemens Artis Zeego C-arm system.